The Gene Larew 6" Tattle Tail Worm was designed by champion bass angler from the West, John Murray. 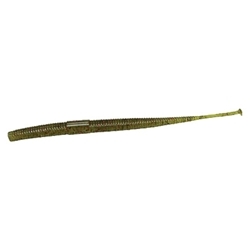 This worm features a flat belly, tapered tail and unique swim foot. Drop shot it. Shake it. Swim it. Rig it. You're in control!